Who doesn’t remember Knightmare? Yikes, quite a lot of people. But those of you who do probably remember how ahead of its time it was. And if you were between the ages of 5 and 10 when it began, how scary it seemed at the time. 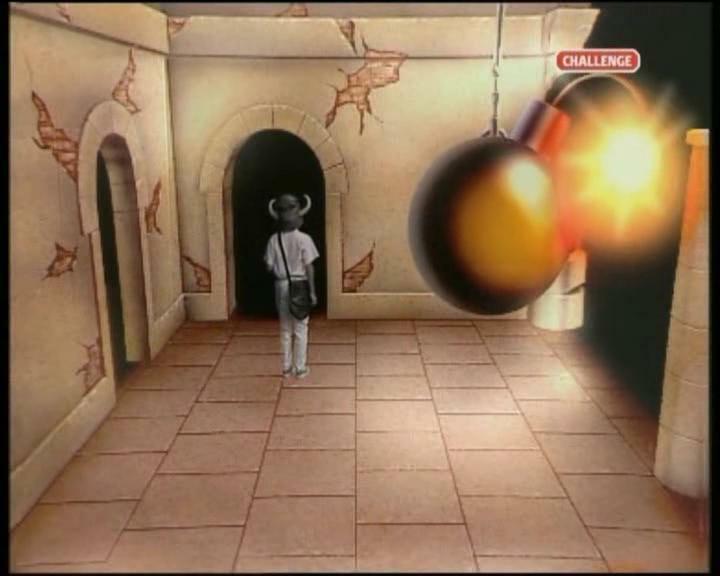 Of course, now, when you’re fully aware of “virtual reality” and Chroma-key and how they work, then the magic is lost a little bit, but still, for its time, Knightmare was without doubt one of the best “gameshows” of all time. So, let’s pretend you never heard of it, and give you a quick rundown. 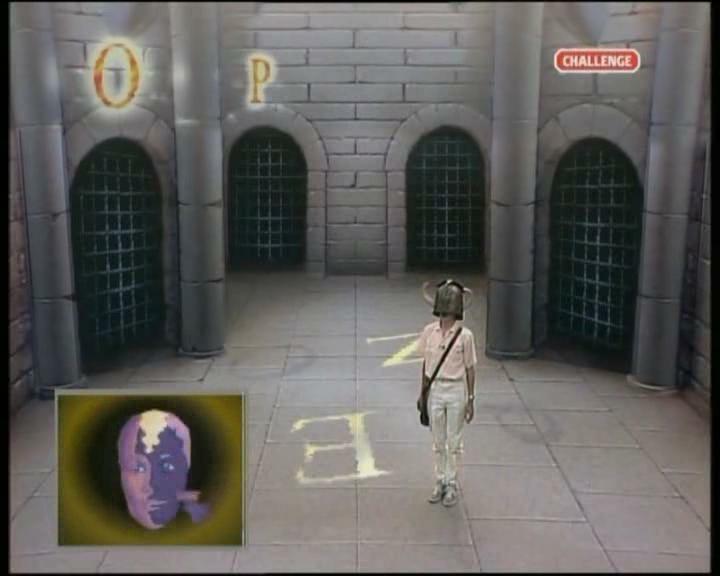 Knightmare was a quest-based “adventure” game show, where teams of 4 would take on the challenge to recover an object from a dungeon. The teams consisted of 1 “dungeoneer” and 3 advisors. The dungeoneer would be unable to see anything but directly beneath them thanks to a large “bucket” helmet placed over the head, so was very reliant on clear guidance from the advisors. And the guidance did need to be clear and accurate, because this was an adventure with just one chance to win. The game was over if the dungeoneer was in a situation where they would have died in real life, or was captured. Let’s get back to the beginning of it all, though. One of Knightmare’s main selling points, if you could call it that, was that the medieval dungeon theme was maintained from start to finish and helped along by a cast of characters and talented actors, the greatest of all being the “host”, the bearded Dungeon Master, Treguard, played by Hugo Myatt. He would introduce the show and compel you to return at the end, as well as distributing timely advice to the contestants. The rules were fairly simple. The only path is forward, there is no turning back, and you can only carry two objects at a time. There was a “time limit” of sorts, known as the “Life Force”, an animated face that slowly fell to pieces, which could be restored by picking up food (and then placing this in the knapsack, where it was “consumed”). 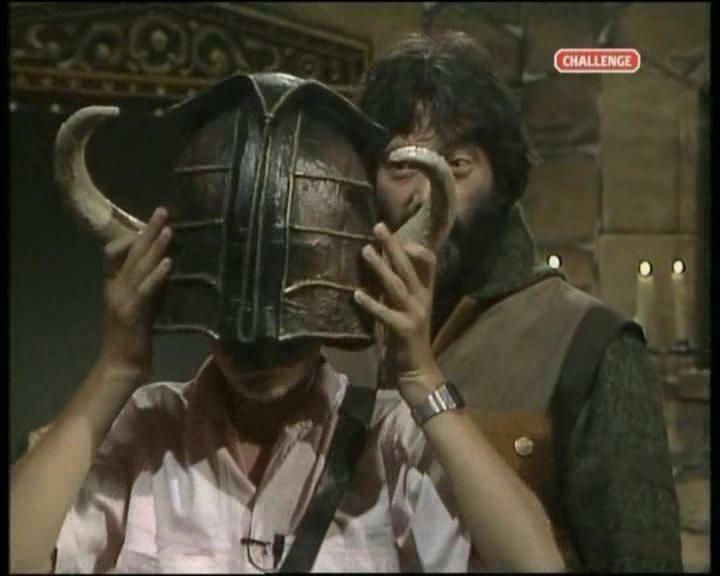 This represents one of the most iconic features of Knightmare, and I was greatly disappointed when they decided to ditch it in favour of a walking suit of armour or even a pie. Once in the dungeon, which in reality was single plain room onto which Chroma-key technology was applied, the “Helmet of Justice”, or “Bucket” as it was often known, ensured the dungeoneer was solely reliant on the advisors to avoid danger, and also ensured a few amusing deaths along the way. Amusing deaths… I don’t want to offend anyone, death is probably one of the least funny things in the world, but akin to Mortal Kombat, the moment a quest is put to an end brought a strange sense of satisfaction, especially when a team was so SPECTACULARLY poor they directed them straight into the obstacle they were trying to avoid! Quests normally followed a simple 3 level system, each level consisting of an entrance (sometimes a choice to be made here), a few “obstacle” rooms (either good guidance or a puzzle to solve to progress), a clue room (objects and/or magic to be gained to aid progression in a later room) and a well room (down to the next level). Objects, knowledge or spells gained from the clue room may be needed to defeat an obstacle later in the level. The clue rooms themselves required some effort to pass successfully, as usually there was a guard (most often a “wall-monster”) who would ask riddles. The more correct answers, the better the chances of survival overall. Supported by a cast of about a dozen, including characters such as Merlin the wizard, Casper the talking key, the savage Goblins, Cedric the monk and Folly the Jester. More characters appeared in later seasons, including assistants for Treguard (Pickle and Majida), Hordriss the Confuser, Lord Fear, Sylvester Hands and Snapper Jack to name buy a few. The real stars, naturally, were the bad guys. Mogdred and Lord Fear were excellent at actually striking fear into the hearts of ourselves as watchers and the dungeoneer and advisors too. But still, I just keep coming back to the deaths. It’s worth mentioning the amusing tale of Mary Whitehouse, who was told there was a new gameshow where they killed children, which of course shocked her. Of course, add in the fantasy factor, and it all becomes acceptable again. But that doesn’t change that some of the deaths were exceptionally violent. Some met their fate in one of the “bomb rooms”, where a large bomb would light and consequently explode if the dungeoneer wasn’t quick enough to get out. A lot of deaths were due to poor navigation (straight off a cliff, or rather memorably, the fall down the “Block and Tackle” room… “Sidestep left… I MEAN RIGHT!”), but who can forget the times we saw the “Corridor of Blades” claim a victim? Oh. 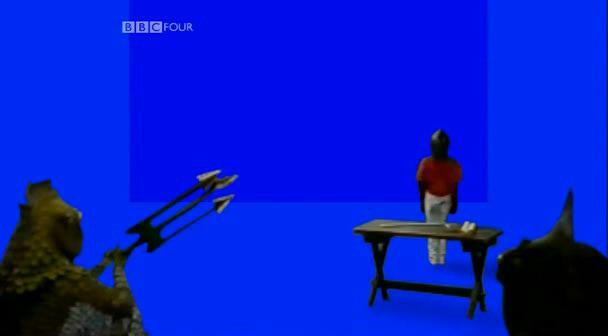 The same people who CAN’T REMEMBER KNIGHTMARE. No matter. Despite changes to the structure of the dungeon and indeed the game. (introducing corridors, the Eye Shield and outdoor locations, changing the Life Force sequence and even the Helmet of Justice, and the awful idea of the Reach Wand), Knightmare will always have a special place in my memory. Probably the best part of all is that no-one ever decided that the game was “too hard” after there were no winners in series 1. Whilst there were winners, there were very very few of them, so winning really was reserved for the elite. You know, there’s so much to Knightmare, really I can’t mention everything in one review. It’s not possible. 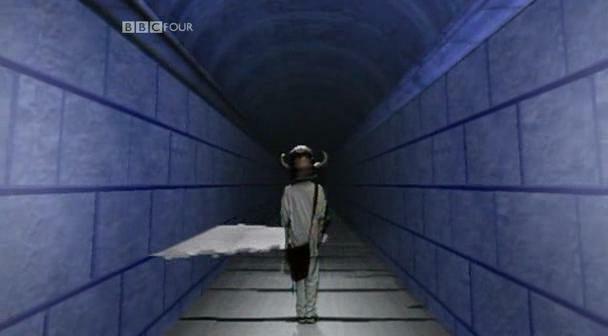 Also, it would be fair to say my opinion of Knightmare depends very much on what series we’re talking about. I wasn’t keen on the final seasons, even though there were obvious graphical improvements, I never really liked the Eye shield and taking the quest outdoors. I liked the computer generated and hand painted rooms used in early seasons. But there were certain characters from later seasons who I liked, too. I haven’t even touched on spell-casting, needless to say spells were only given when they were going to be needed shortly afterwards. 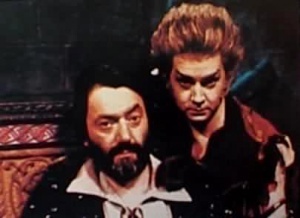 Whilst Knightmare makes very rare appearances on channels like Challenge on Sky, if you want to sample the joys of this 80s/90s wonder you would be much better finding someone who can supply recordings seeing as there appears to be no official release lined up. 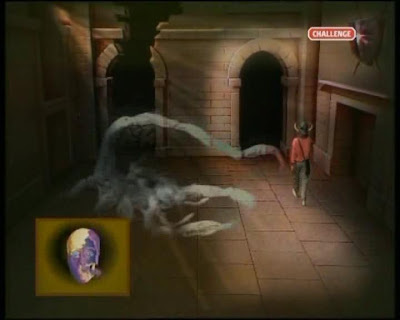 Alternatively, there are MANY images and clips from the show available from www.knightmare.com, as well as details of every single quest (the participants, the rooms visited, how they fared and so on). Get on over there now if you want a quick sample of the best of Knightmare, and if you find you want to see how a full episode or even series panned out, get on the forum and make contact with someone. According to Channel 4, Knightmare was chosen by the public as the 17th greatest Kids TV show of all time, which is pretty good going when you consider some of the shows it was up against. WARNING TEAM! TEMPORAL DISRUPTION IMMINENT! Oh dear… Temporal Disruption complete… Phase with us once more, and just keep telling yourself, it’s only a game… isn’t it? 1/ It made really good use of what was cutting edge technology (chromakey and computer graphics) circa 1988/89 but without trying to overdo it and looking crap for it. 2/ There was nothing else like it before, and disappointingly considering what is now possible on even quite modest budgets with modern special effects, there has been nothing else like it since. 3/ It didn't preach or patronise, it captured your budding kiddywink imagination but didn't try and tack on some sort of eductional or moral "lesson" like a lot of more modern Children's telly seems to do. The disintegrating Life Force face scared the bejesus out of me, as did the looking glass when the evil fellow cottoned on that somebody was spying. I loved discovering the seeing stones in Lord of the Rings, the feelings in that book were very reminiscent of my childhood terror. 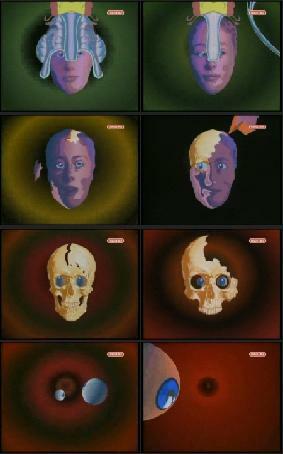 Have you played any of the video games based on Knightmare. There is a very faithful one and a Dungeon Master style one. Might make for an interesting follow-up article.